The PTInc. is currently in the process of hosting another fundraiser for the school! 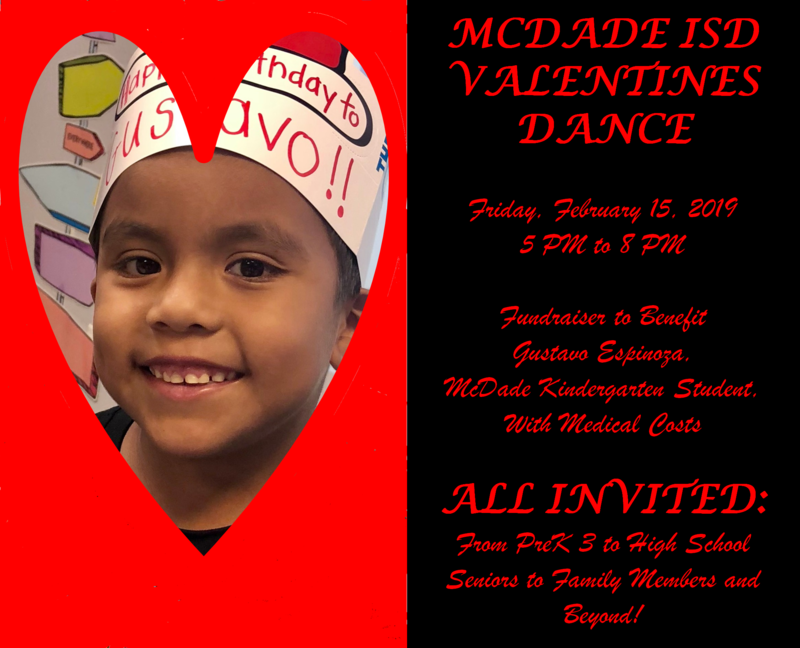 We are excited to bring another opportunity to help raise funds for McDade ISD while bringing it’s community something wonderful! Check back for more information. The PTInc. 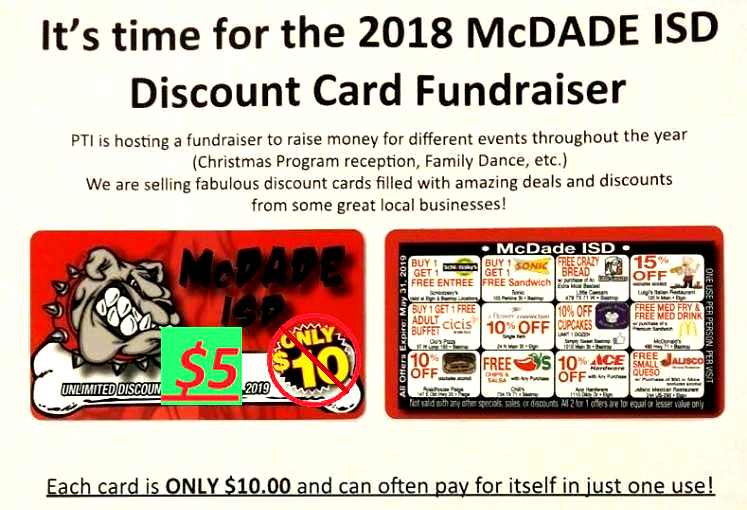 is still selling our awesome Discount Cards! These cards are only $10, have great savings on them and are good until May of 2019! These cards are still for sale, so find a local PTInc. officer or contact us by email to get one for yourself or as a gift! Top sellers in each grade level group were: PreK – 1st Tinner Stephens, 2nd – 5th Gavin Walla, 6th – 8th Brandon Johnson, and 9th – 11th Jasmine Shelley. Top overall seller, Gavin Walla, also received a Kindle Fire 7. Prizes were presented by McDade PTInc. officers, Stacy Mauck and Corina Nuby.